LONDON — Talented forward Marcus Rashford has been handed the starting position to lead Manchester United attacking line in the FA Cup quarter-final at Chelsea on Monday. Watch Live Streaming on Fox Sports GO and Fox Soccer 2GO. Live TV television broadcast is on Fox Sports 1 USA. 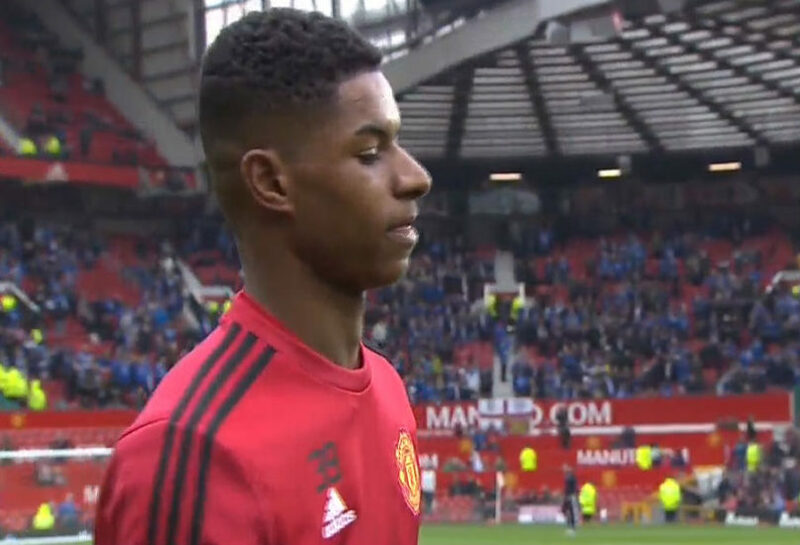 Rashford, despite reports suggesting he was too ill to feature in this game, was selected to lead the line as Zlatan Ibrahimovic is suspended and captain Wayne Rooney is ruled out with an injury. “The decision has come from him,” Manchester United manager Jose Mourinho said about Rashford’s inclusion. Ibrahimovic is banned for three games for elbowing Bournemouth’s Tyrone Mings in the last English Premier League outing, while Rooney collided with defender Phil Jones in training and misses out with a leg injury. Mourinho makes four changes from the team which drew 1-1 in the Europa League in Rostov last Thursday. Goalkeeper David de Gea is back between the sticks, while Matteo Darmian and Antonio Valencia return to the starting team in place of Marouane Fellaini and Daley Blind. Chelsea, meanwhile, make two adjustments from the team that won in the English Premier League at West Ham. Midfielder Nemanja Matic comes in for Cesc Fabregas, while Willian replaces forward Pedro. Chelsea enter this game, having won 12 straight games in all competitions this season. “You look at the stats and we have the best defence but we also have the second best attack in the league behind Liverpool who have played a game more,” Blues boss Antonio Conte said about his teams success. Manchester United: de Gea, Jones, Smalling, Rojo, Valencia, Ander Herrera, Pogba, Darmian, Mkhitaryan, Rashford, Young. Subs: Bailly, Mata, Lingard, Carrick, Blind, Romero, Fellaini.